These photos demonstrate a few simple release positions/assessments and give a brief description of the areas worked on. Each position is checked with the client for ease and comfort preferences. Ortho-Bionomy techniques favour comfortable positions, where the tensions are naturally released. The practitioner holds each position with a light compression or extension (whichever is more comfortable) for 20-60 seconds or until the body naturally rebounds or recoils back into neutral relaxed state. 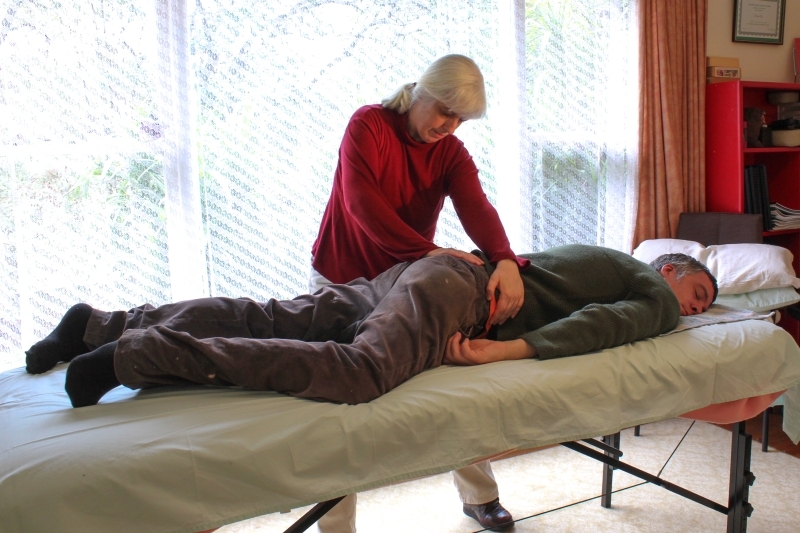 In this way it is the client’s body that is self-regulating and correcting its own tension patterns, guided and supported by the practitioner. Click on the images below, and activate slideshow by clicking on each image’s right hand edge.